We shuffled the truck down to St. Paul and then came back to bring the boat downriver. Only in the Twin Cities is your Uber driver a UofMN tenured gender studies professor who connected us up with a group of black lady fisherfolk. The boat trip took us through the Ford Lock and Dam Number 1 in the gorges. We shared the lock with a bevy of kayakers who swarmed around us. Since we had the pin next to the upstream gate we got to see the gate up close and personal. 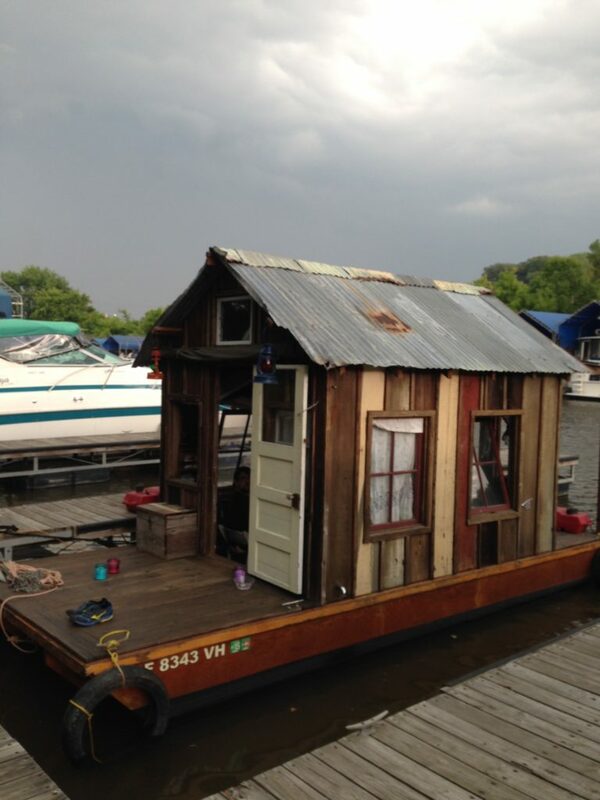 This took us down past the confluence of the Mississippi and Minnesota Rivers. This was a sacred place for the Dakota people who called the area bdote. Check out the excellent Bdote Memory Map that deals with the history of this place. We slowed down and drifted through to show our proper respect. We were greeted warmly at the St Paul Yacht Club by former club commodore Pat Boulay. Later my friend Shireen and her kids came to bring us flowers from her garden. 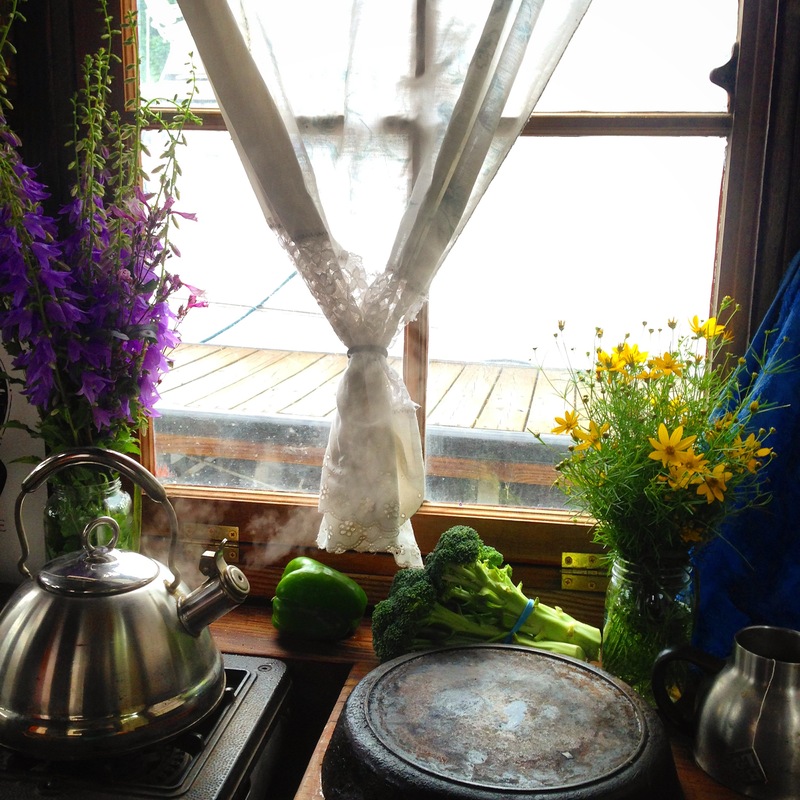 It brightened up the shantyboat considerably. Since this is the midwest and it is summer, storms roll in many afternoons. I love this. Recently from California, we were confused by the concept of water falling from the sky. 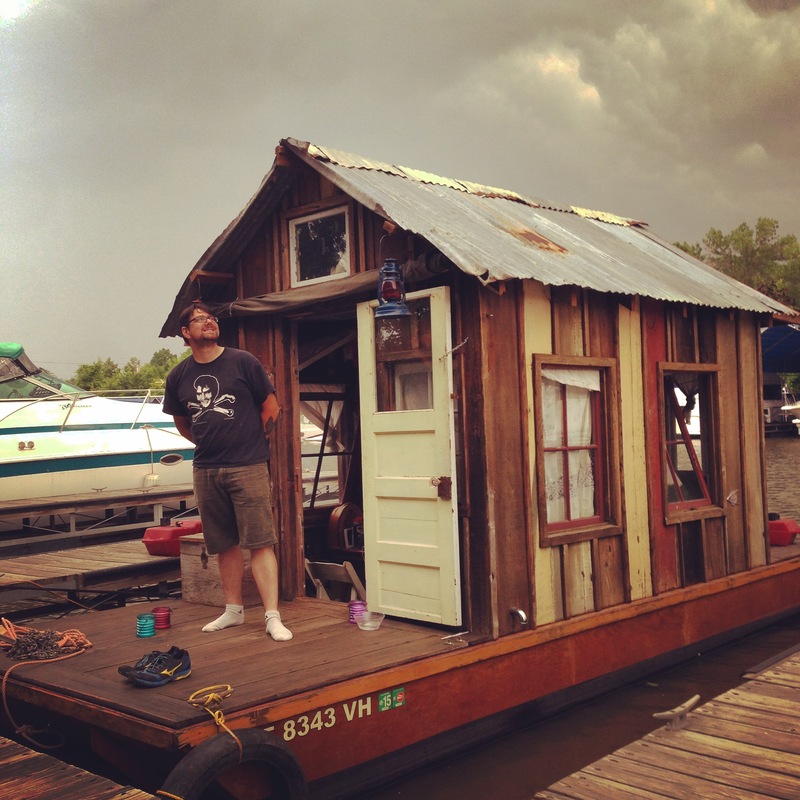 The shantyboat is at the marina under stormy skies. 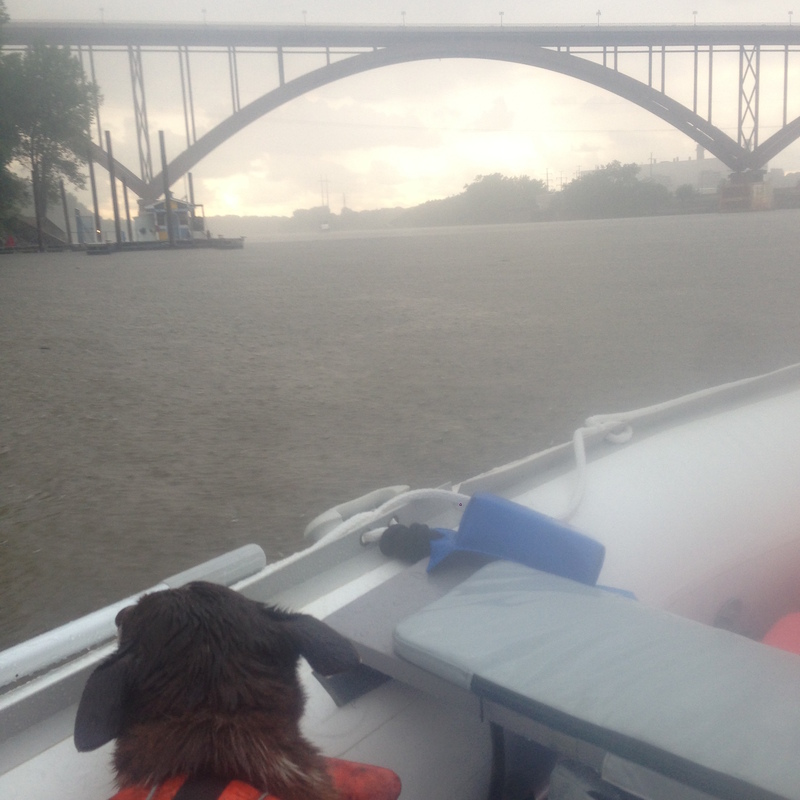 Hazel and I decided to go out in the pounding rain on a borrowed skiff. Well, actually Hazel was less enthusiastic. For me though, cool rain on an otherwise warm day is irresistible. It was really pounding and I got nervous enough to make sure Hazel and I both had our lifevests on.